There’s so much to love about Invisalign. If it isn’t the clear aligners that will make you smile, it’s the ease with which treatment is offered. Instead of painful metal brackets that painfully move your teeth into place, Invisalign does the same, only with A LOT less discomfort. A mouth without pain is a happy mouth, and there’s nothing we like treating more than a happy smile. Do you like food? We love food. The downfall of metal braces is the fact that you’re limited to what you can and can’t eat. Loose food can get caught in brackets and cause all sorts of problems. With Invisalign, you’re free to eat whatever you’d like (within reason – we’re looking at you, sugary-treat lovers) without any problems. You can freely remove the device from your mouth whenever you please, just be sure to keep it in for at least 22 hours out of the day. The beauty of this treatment is it is completely under your control. You choose when you want to wear your aligners and how fast you’ll see results depending on how often you’re wearing your aligners. Our Philadelphia, PA and Horsham, PA offices specialize in offering this fantastic straightening treatment. 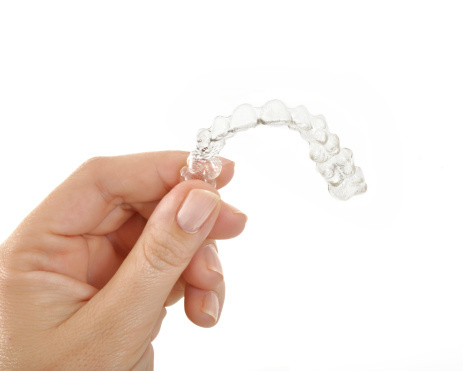 Join the millions of other patients who have chosen Invisalign to straighten their smile. Choose Invisalign, Horsham, Dresher, Springfield and Hatboro residents!